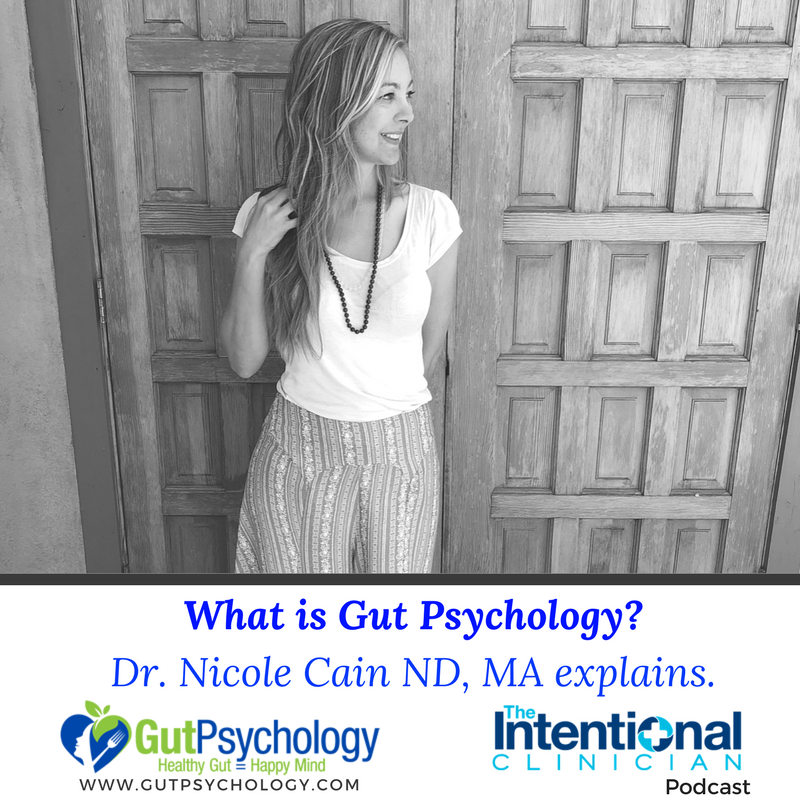 Listen to Dr. Nicole Cain ND MA’s interview about the Gut Psychology Program. Paul Krauss MA LPC is a counselor, teacher, and consultant that interviews Dr. Nicole Cain ND, MA on his podcast entitled: The Intentional Clinician. Paul Krauss askss Dr. Cain a series of questions about her new book “Gut Psychology.” Paul wants to know what our “gut system” is and how that has anything to do with “Psychology.” Dr. Cain discusses why “Gut Health” is popular and why it is important for the public to know about. Dr. Cain simplifies how the average person can make changes to their diet that, over time, can affect their physical and mental wellness. Paul Krauss MA LPC also reads from Dr. Cain’s book and discusses the four modules as well as questions he has. You can purchase the Gut Psychology program by clicking here.